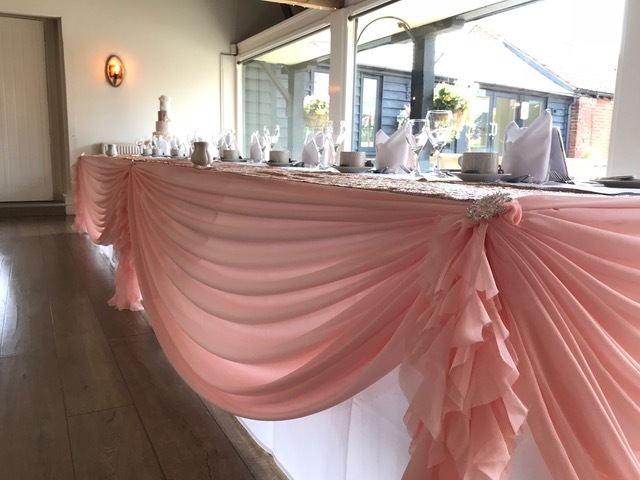 Drapes, hoods and ruffles are very popular right now and can be used to create some beautiful combinations. 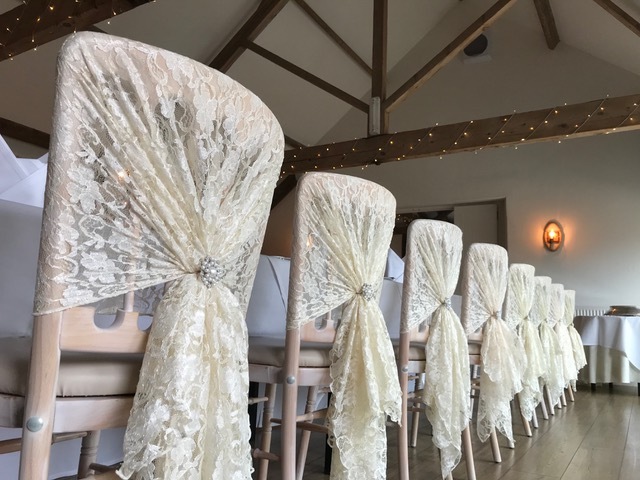 They are available in organza, chiffon, hessian and lace and can be combined with sashes and with brooches or other finishing touches to create your perfect look. 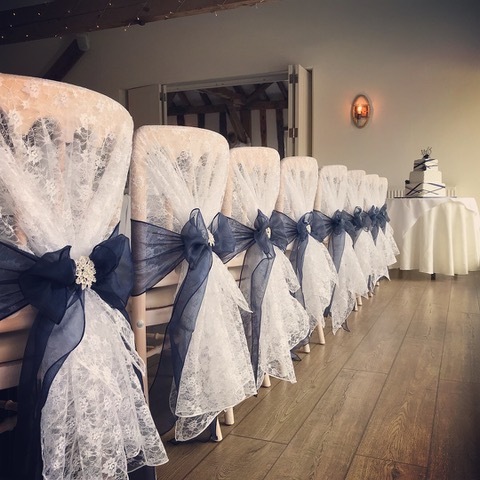 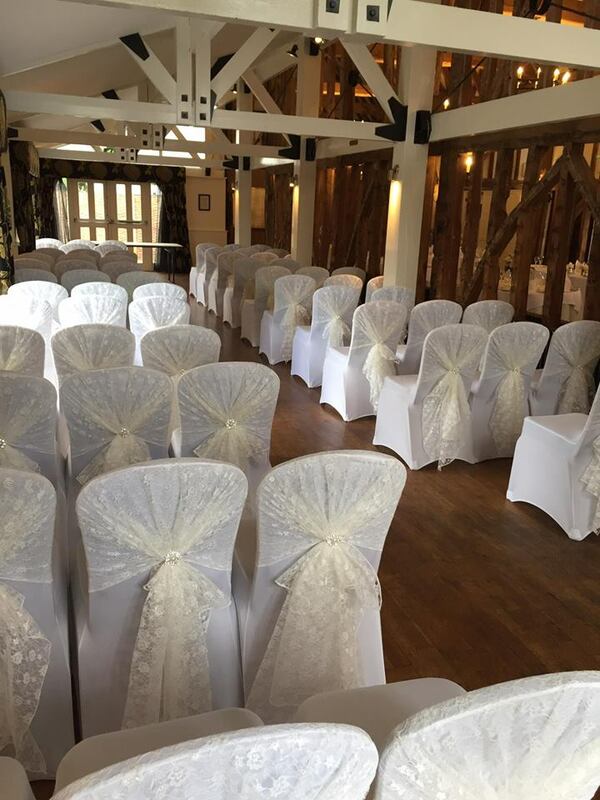 Ruffles are very popular for chiavari chairs but will also work with covered chairs. 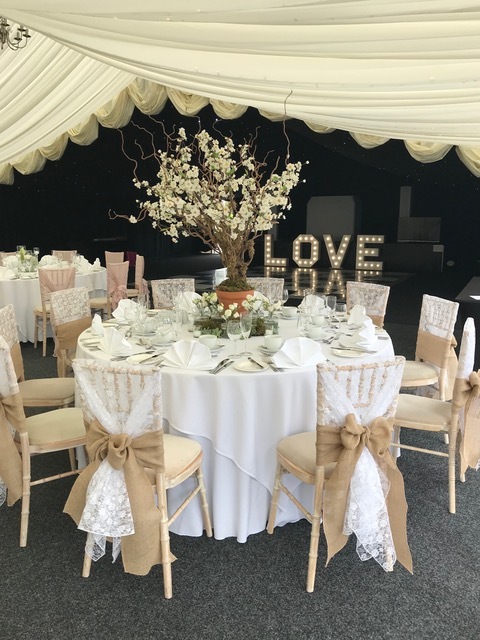 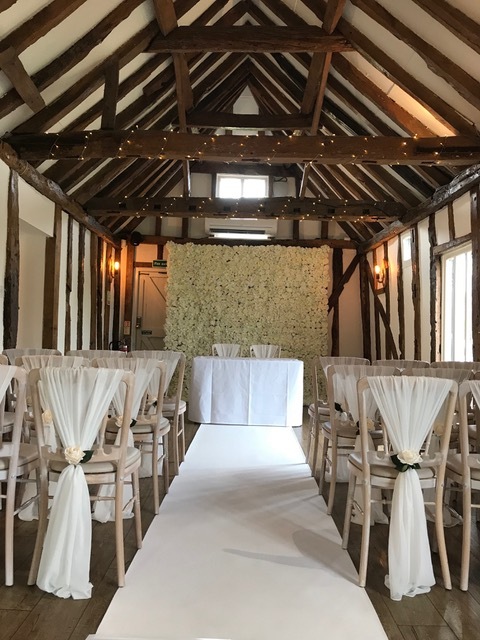 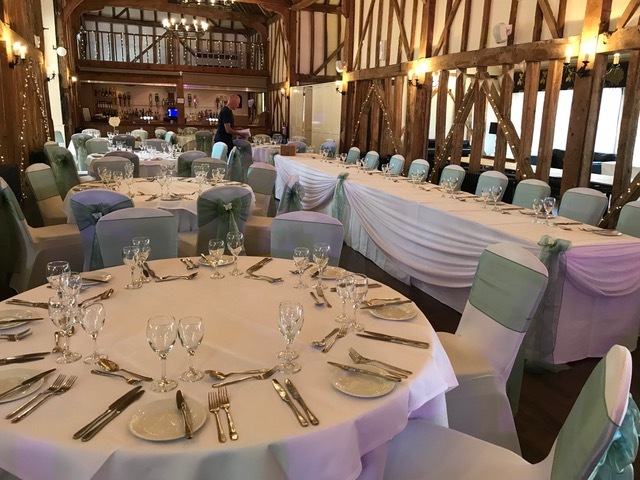 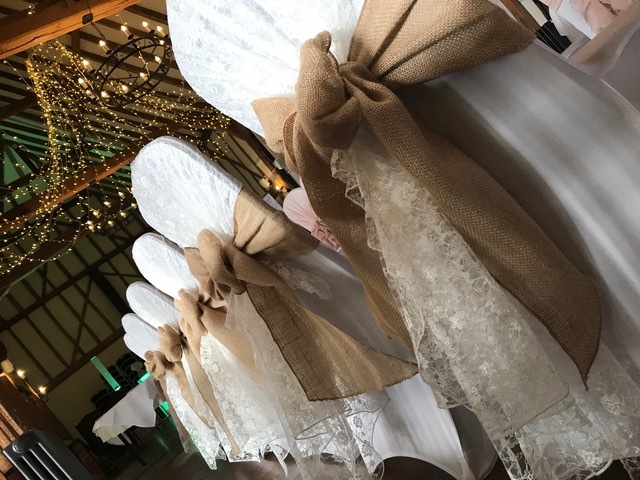 Hessian is perfect for rustic weddings and barns and organza hoods are ideal if you are after something a little different with a touch of sparkle. 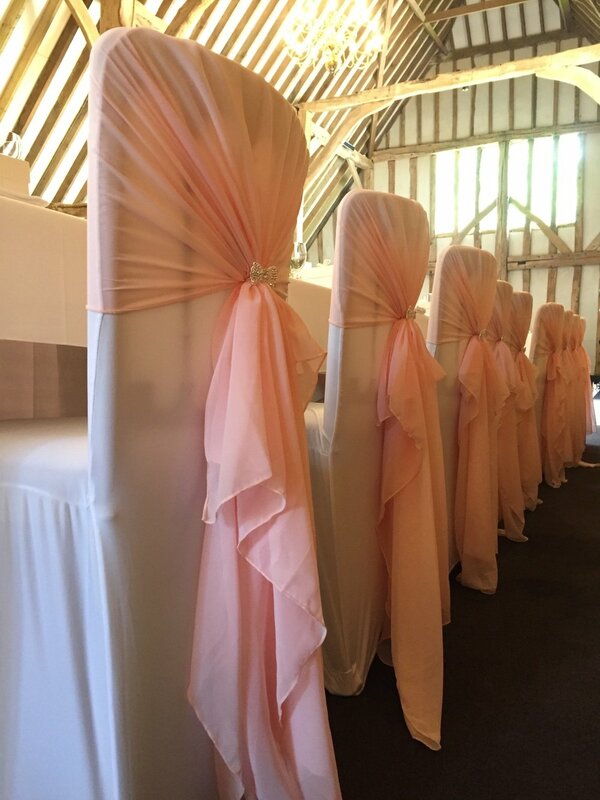 All will look amazing when combined with your choice of colour sash and/or lace. 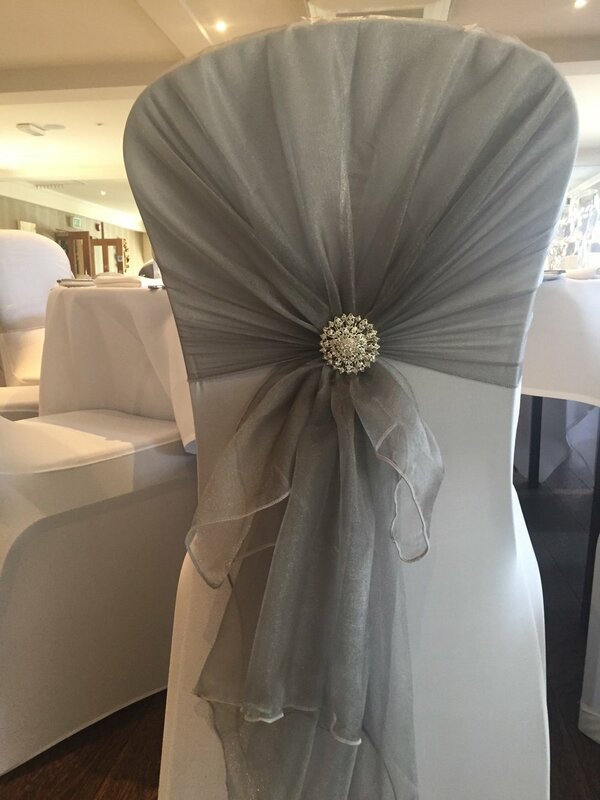 Crisp white covers with sashes tied as a back bow is a timeless classic style for weddings and events. 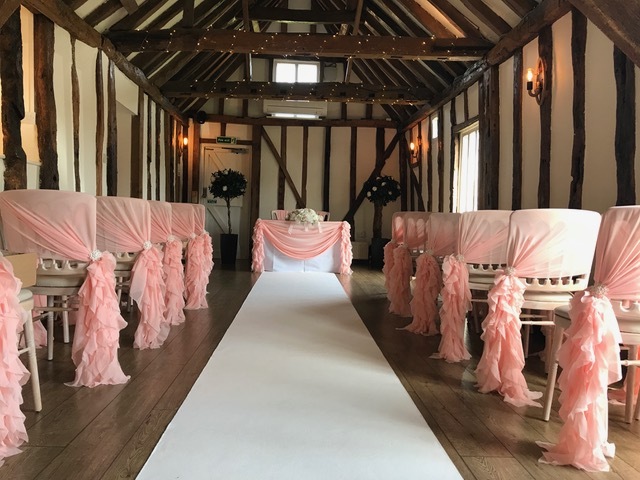 It is a beautiful way to add colour and personality throughout the ceremony and reception. 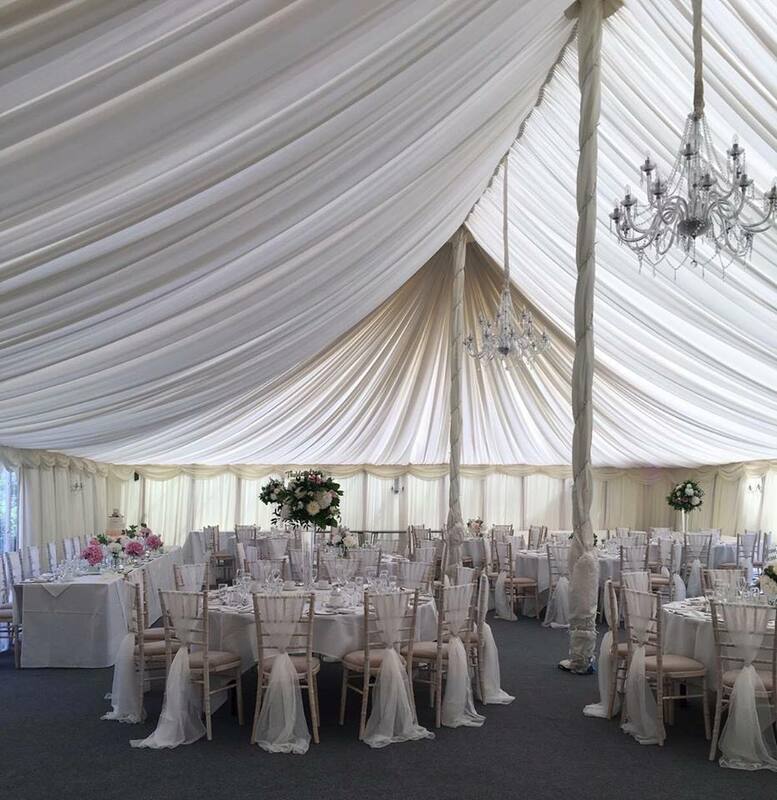 We often meet couples who are stuck between two colours and our solution is often quite simple - have both! 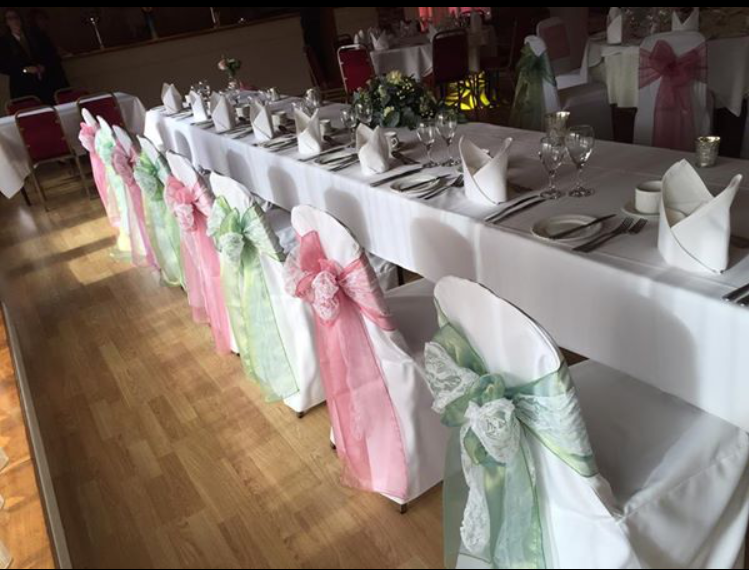 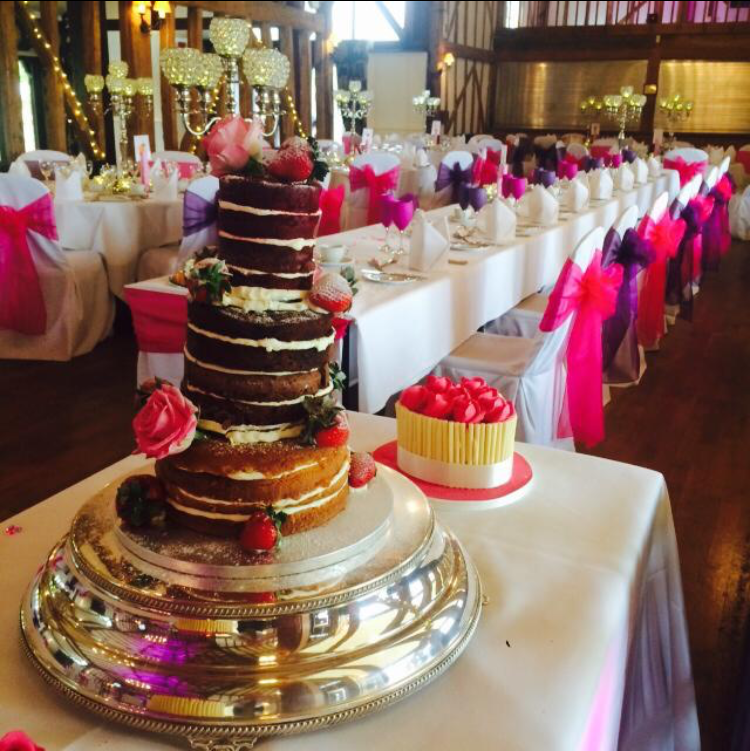 Alternating colours by table or chair is a great way to incorporate both colours of your wedding theme. 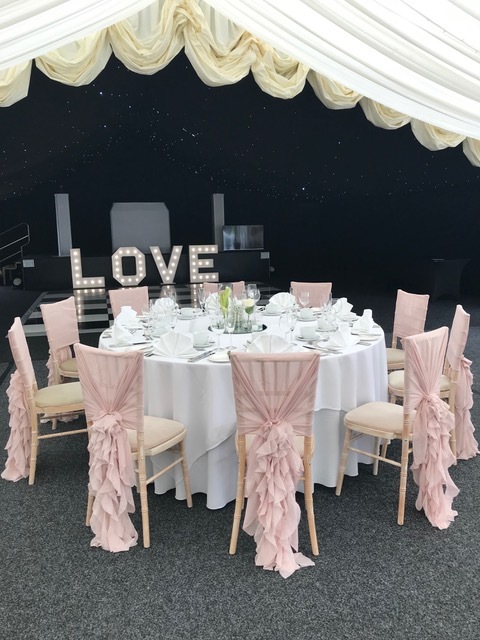 Alternatively combining both colours into a double-bow is a great way to compromise colour choices between couples and can add a striking effect. 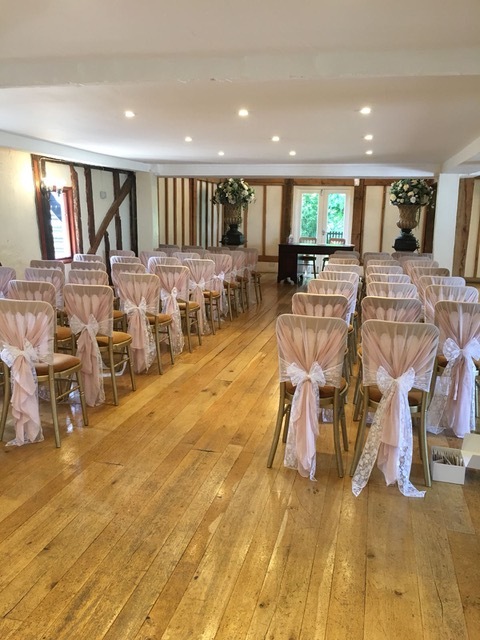 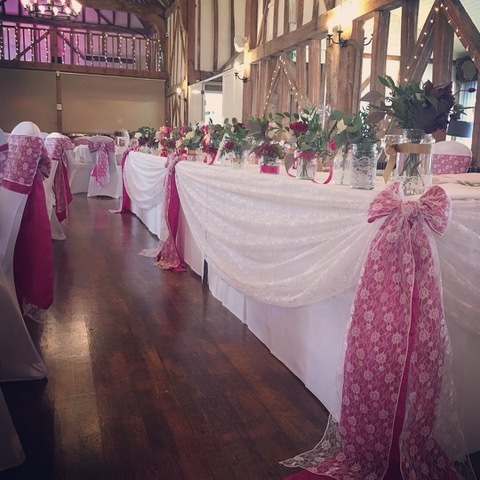 If you're looking for something more rustic, combining a coloured sash with a lace overlay will offer a beautiful effect perfect for any wedding but is particularly suited to barns and other country estates. 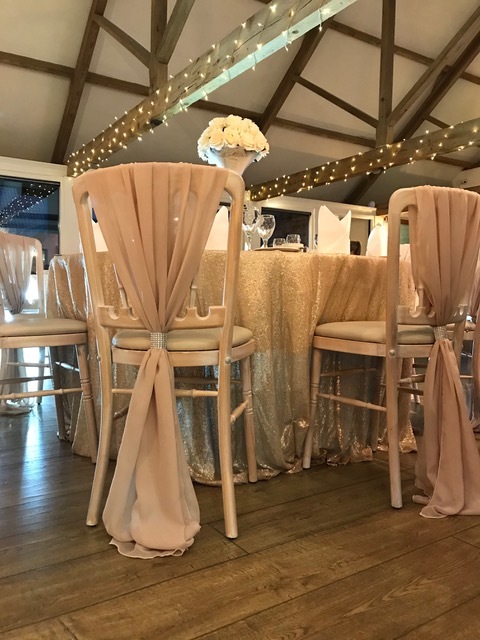 We have over 60 colours across our range of organza, pearl, satin, taffeta & lace sashes so if you are looking for something in particular or are looking for inspiration, please book in for a consultation to see if we can find the perfect colour for you. 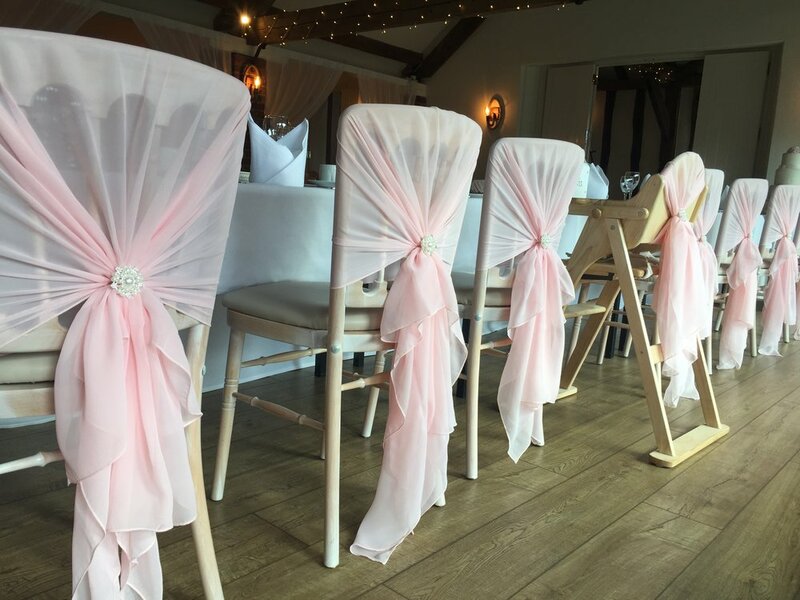 In the meantime, please look through the below galleries for some examples of how colours can be combined and sashes tied.